This entry was posted in Australia Australian Skilled Visas and tagged 457 visa Australia Australia Immigration Australia Visa on July 11, 2015 by Blog Author. Are you aspiring to migrate to Australia in order to work? Then immediately grab the opportunities to work in Australia as the subclass 457 visa provides you the best pathway of working temporarily in Australia. Australia is a perfect place for working as it has a fantastic climate and people who are friendly and mingle very quickly. Australia has always been a favorite destination for the business men who want to work overseas. In order to migrate to Australia and work you need to first apply for a visa which is best suitable for you. 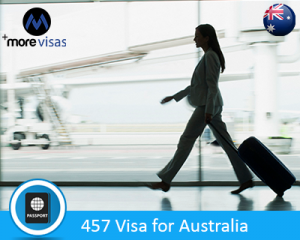 What is subclass 457 Visa? Subclass 457 visa is a temporary work visa of Australia which enables the Australian employers to sponsor the international workers who are able to fill the skilled positions which are vacant. If an individual is a holder of the subclass 457 visa for a longer period of time then he/she can become a permanent resident of Australia after fulfilling the conditions which are specific. What are the necessary requirements for subclass 457 Visa? What are the benefits of the subclass 457 visa Australia? Are you a skilled person and wanting to move to Australia for working temporarily? Then you have made the right choice so apply for the subclass 457 visa Australia and migrate to the wonderful land of kangaroos to work and avail the benefits along with your members of the family. If you are interested to work in Australia, fill out out Enquiry Form.